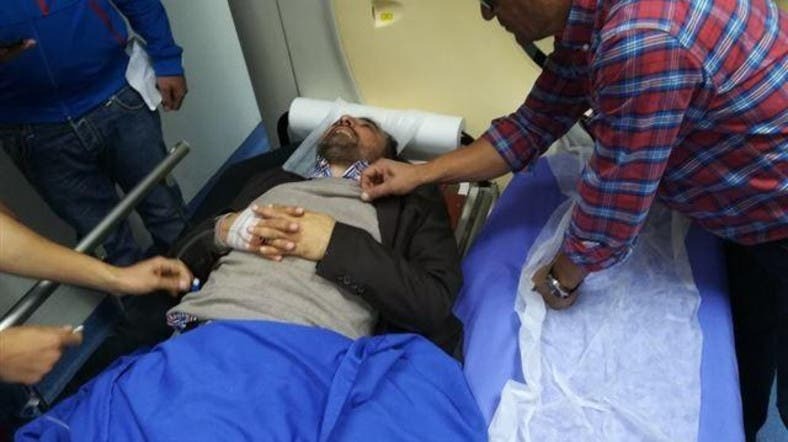 A candidate running against Hezbollah in Lebanon’s parliamentary elections was in hospital on Sunday after being assaulted by a group of men in his southern hometown, he told AFP. Journalist Ali al-Amin is a vocal critic of the Tehran-backed Shiite movement Hezbollah, and is challenging the party in the upcoming May 6 legislative election. “I was hanging up the very first picture of myself at the bottom of my street in Shaqra, just 100 metres (yards) away from my house,” he said. Dozens of men approached him and demanded he take down the campaign poster, but he refused. They then began beating him, Amin said. “I’m at the hospital now. My tooth is broken, I have very severe back pain and was hit in the head,” he said. Lebanon’s May 6 legislative vote will be the first since 2009, after years of deadlock and security concerns prompted repeated extensions of the parliament’s mandate. It is Amin’s first time running in the southern district, which is granted 11 seats under Lebanon’s new electoral law -- eight of them allocated for Shiite Muslims. Lebanon’s 128 parliamentary seats are distributed according to the religious sects present in each district, with the total body split evenly between Muslims and Christians. Hezbollah and its ally the Amal movement are the two most powerful political forces in the predominantly Shiite southern district of Bint Jbeil, where Amin’s hometown lies. He has received threats in recent years but insisted Saturday’s violence would not deter him. “This incident won’t affect us, we’re still going to run. But we want the world to see what kind of elections will be held under Hezbollah,” he said. Hezbollah is a current member of Lebanon’s parliament and cabinet, but the United States considers it a “terrorist” group and many criticize it for suppressing dissent in areas under its control. In 2013, a young protestor demonstrating against Hezbollah’s intervention in the war in neighboring Syria was shot and killed, with many blaming Hezbollah although no one was ever charged.